Travelling to Hue, visitors not only enjoy the stunning view of the Huong River but also have chance to eat the taste of one Best Vietnamese Food there. 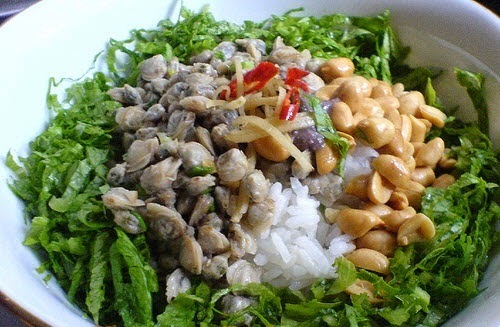 It is the well known as Mussel Rice in Huong River (Cơm Hến Sông Hương). This dish is the very simple and low-priced specialty of Hue, the ancient citadel of Vietnam. It is a complicated recipe that includes sweet, buttery, salty, sour, bitter and spicy flavors. Accordingly, the way of serving this special kind of food is of great ancient, simplicity and deliciousness. It has a sweet-smelling flavor of rice, onion, and grease, as well as strange tastes of sweet, buttery, salty, sour, bitter, and peppery-hot. You have to arrive to Hen river-islet in the Huong River to have the original this Best Vietnamese Food. 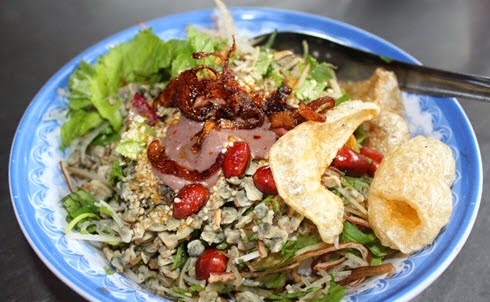 However, you can find out the dish on some streets in Hue City. It requires 15 different raw materials to prepare for the dish, including mussel, fried grease, watery grease, peanuts, white sesames, dry pancake, salted shredded meat, chili sauce, banana flower, banana trunk, sour parabola, spice vegetables, peppermint, salad, etc. This dish is always attractive to many customers since it is tasty and, at the same time, economical to anybody. What makes this simple kind of food popular is revealed in the great endeavor to adopt and process its main ingredient – mussel. Mussels are sea species, which must be dipped in water for a long while before being processed. Accordingly, people often say that mussel cooked rice somehow expresses the strenuous work of the maker. Where to find this Best Vietnamese Food? It is very easy as it is popular everywhere in Hue and these days, elsewhere in Hue restaurants in Vietnam. 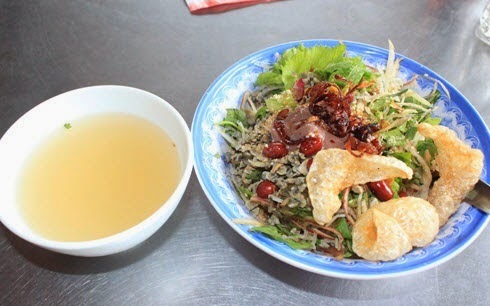 More favorably, it is a low-priced specially, thus you could eat it in luxurious restaurants in Hue or even in venturing mobile shops on the streets. 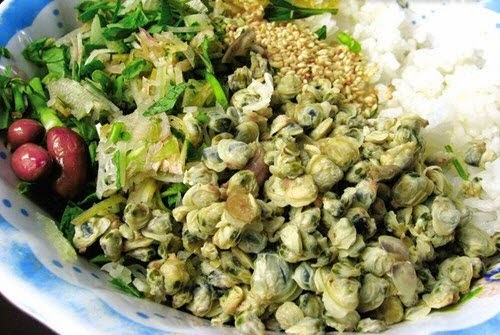 “Visiting Hue could not miss Mussel Rice in Huong River, or else you have not come to Hue ever!” is the most common remark of visitors elsewhere to Hue. So, please come and enjoy this Best Vietnamese Food by yourself! Do not miss any chance to taste it. Hope you have a happy trip with friends and family. Good Luck to you.